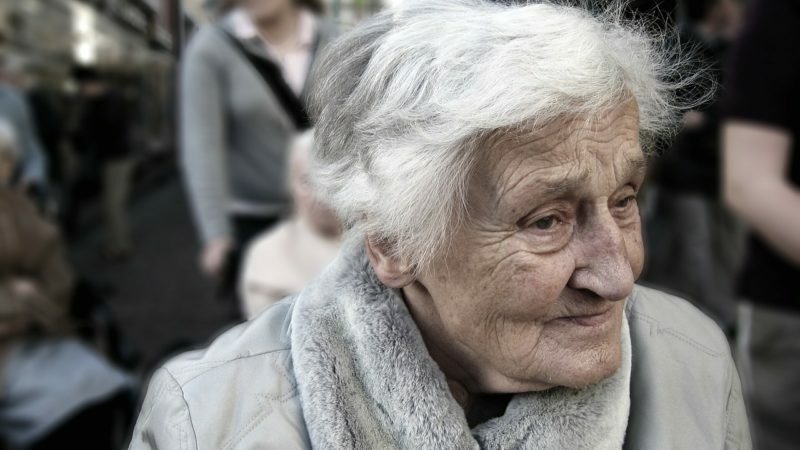 Meeting the needs of an ageing society is one of four ‘grand challenges’ identified in the government’s Industrial Strategy to help create an economy that works for everyone. With the UK population ageing, Dan Garner, Programme Leader in Product Design Engineering at the University of Derby, looks at how technology and design are helping older people lead independent and fulfilling lives. According to think tank International Longevity Centre – UK, there will be over one million people aged over 90 in the UK by 2027, while a quarter of the population will be over 65 by 2037. The most significant impact of this will be rising costs in health care, with the Office for Budget Responsibility estimating a rise from 6.2% GDP to 8% GDP by the middle of the 21st century. We can view these facts in two ways. Firstly, we have a responsibility to develop better and more efficient services to offset this increase in cost and, secondly, there is a growing market with high commercial opportunity which has yet to be fully exploited. We also have an obligation to help our older citizens lead independent, fulfilled lives, continuing to contribute to society. It is important to understand that, while some manufacturers may have altruistic motives, commercial success is the primary driver of business. There are a number of approaches which designers may use to satisfy the demands of our ageing population. Advances in technology are often thought of as having the greatest potential, especially with developments in fields such as artificial intelligence, smart connectivity (the Internet of Things), big data analysis and mass customisation (bespoke manufacturing). Autonomous vehicles may reduce some barriers to travel. Additive manufacturing (3D printing) can be used to produce individually customised products which fit the user better or improve function, while ‘connected’ wearable products can be used to monitor wellbeing or even treat conditions at home which may have previously required hospital interventions. Current research in design thinking may also enable the development of better products for older people. Techniques have been used to gain a deeper understanding of the needs of the elderly and help designers meet their specific needs. Ethnography (observation of users) has been widely used as a method for gathering information about specific product needs, but more immersive approaches have recently been used. With parallels to the concept of method acting (when an actor tries to literally ‘live’ the character they’re playing), ‘age suits’ have been used to allow designers to experience restrictions such as reduced vision, limited movement and weakened strength. Ford used this approach during the development of their first Focus to ensure that the vehicle would be easy to use for an older demographic. Another design principle is that of inclusive design. Rather than designing for a specific user group, the aim is to make the product accessible to the largest possible number of people. One of the most widely cited examples of this is the OXO Good Grips kitchen utensils. By meeting the needs of users with poor manual dexterity, the product is actually better and more effective for everyone. A third methodology uses the concept of emotional design. This also places the needs of the user at the centre of the design process but, rather than considering the physical constraints, the focus here is on the emotional relationship between the user and the product. Building upon the knowledge base of cognitive ergonomics (the study of how we use sensory cues to interpret product function and develop a perceptual understanding of a product), emotional design is affected greatly by social and cultural influences. Research conducted by leading researcher Patrick Jordan shows just how effective emotional design can be. London Transport wanted to encourage elderly people to use public transport. Their initial response was to develop better access to the vehicles, ramps, wheelchair accessibility and priority seating, but the subsequent investigation showed no significant increase in usage. A team of designers decided to look at the problem from a different angle, using the principles of emotional design. They discovered that the main issue reported was that elderly travellers felt unwelcome on the bus, saying that drivers were in a rush, reluctant to assist and sometimes rude. After a further survey of the drivers, the actual issue was identified as a systemic effect due to a business agreement between the bus operator and London Transport. To ensure a timely bus service, London Transport inflicted harsh financial penalties on operators if there were delays in the services, who, in turn, penalised the drivers. Every time a driver had to help a disabled or elderly passenger, the likelihood of them being directly financially affected also increased. A simple change to the system, allowing the drivers to record the number of times they were required to assist passengers and therefore compensate for this in their timekeeping data, removed the issue and improved the service for the disadvantaged users. Through improvements in design research techniques and a strengthened commercial incentive to meet the needs of the ageing population, designers will continue to develop better products which help to meet the social and economic challenges of our nation. Find out more about studying Product Design Engineering at the University of Derby.